This is just a quick post to let you know that I’m very much in the Christmas spirit – especially after spending the day at Dream Toys 2015! – So I’ve decided to treat you with a Christmas Giveaway! 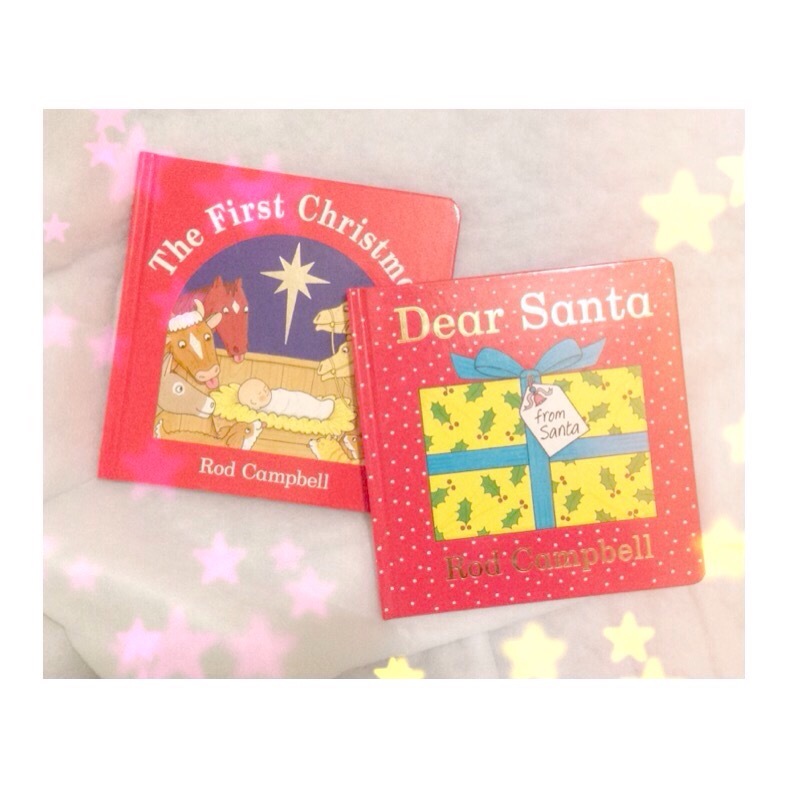 I have TWO Rod Campbell Christmas favourites for you to get your hands on – ‘Dear Santa’ AND ‘The First Christmas’ (RRP £12.00). I’ve already bought these for Jax’s stocking because I know he’ll love these. Rod Campbell is one of our favourite authors with his simple lift-the-flap books and I’m sure your little ones will too! Click on the link below so you know what you have to do to enter, and I’ll be picking one lucky winner on the 15th of November at random! – Be sure to complete all of the entries otherwise your entry won’t count. Previous postMy Stairgate Attacked Me!! Next post365 New Days. 365 New Chances.